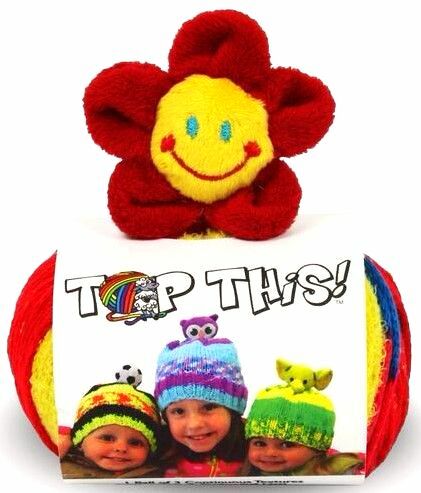 DMC Top This Flower, Brilliant Red, Blue and Yellow ball of yarn that has 3 Continuous textures, comes with a cute Flower Pom Pom. You just knit the hat and then add the Pompom Character to the top. 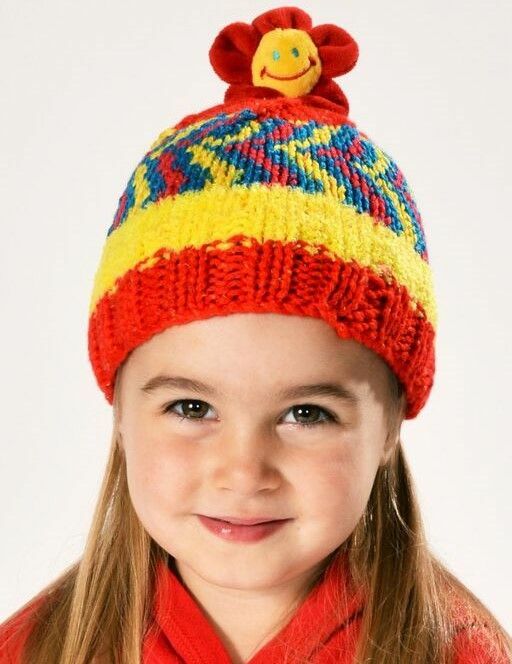 These are just Fun and Colourful Hats that any Child (or Adult) will love. 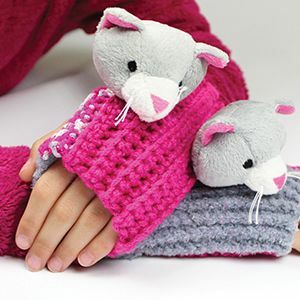 Why not Crochet it instead! 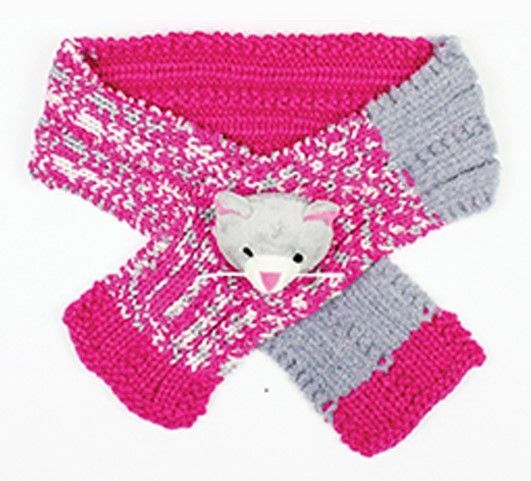 Ball band comes with an easy knit pattern for a hat, this will fit from Toddlers to Teens (you can adapt it yourself for a large adult, you will need 2 balls though). 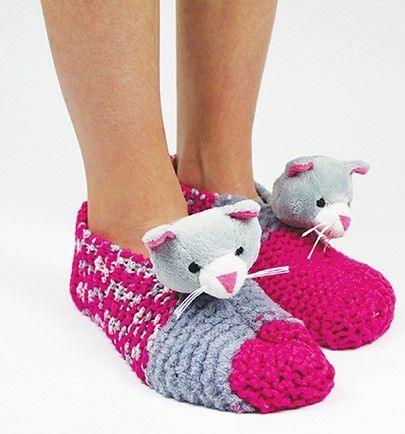 You will need a pair of 5.5mm Knitting Needles and a Sewing Needle. FREE patterns click here for knitting instructions for a scarf, click here for the Crochet Hat instructions and click here for Crochet Wristwarmers and Slippers. 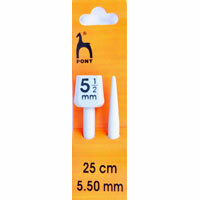 Aluminium knitting needle 5.50mm thick.